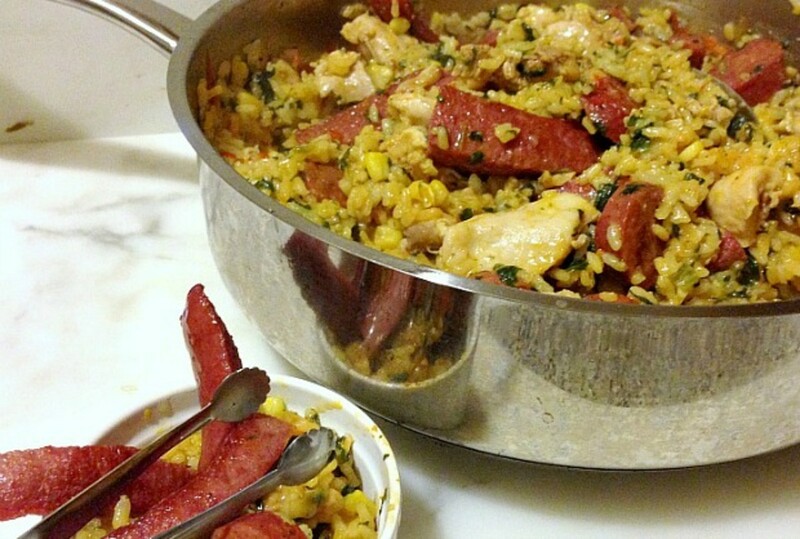 Paella is one hearty dish! 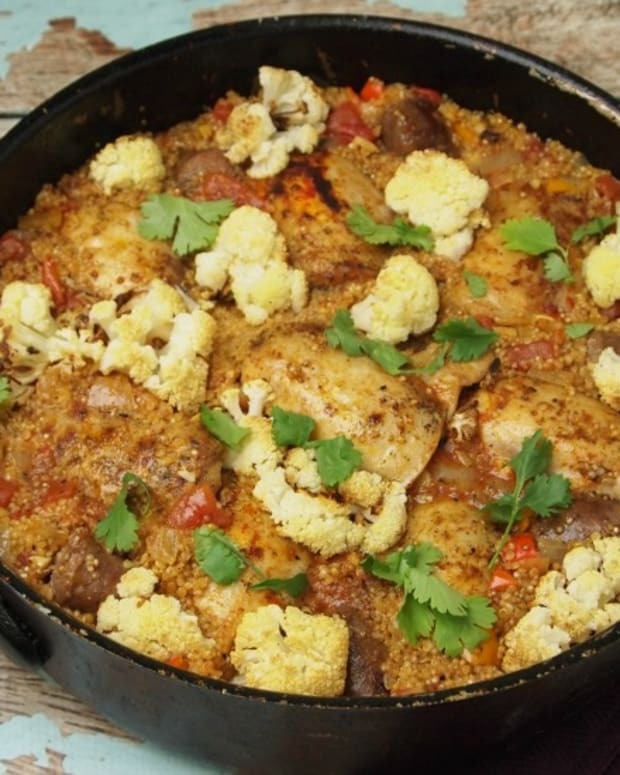 Typically filled to the paella-pan brim with rice, chicken, seafood, spices, vegetables and more. 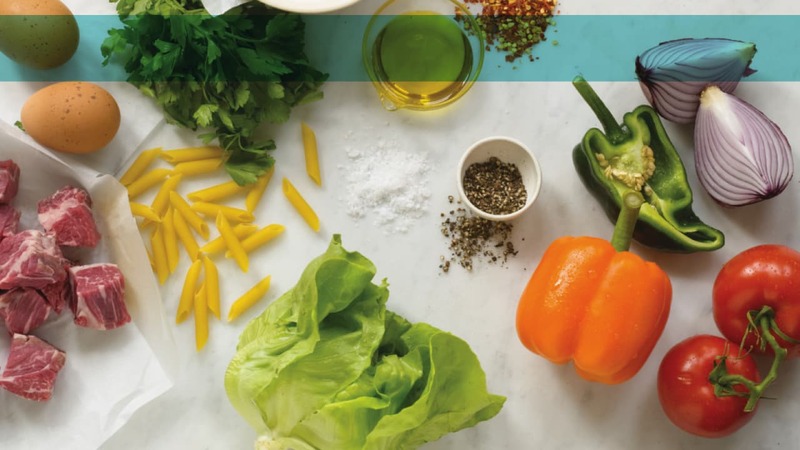 There is no minimum and no maximum to how many ingredients are combined to make a Paella. Since I keep kosher, my paella was a little more tamed. Seafood- outta the dish! In place of the "shrimp" I used incredible sausage. By sautéing the sausage first, my Paella base of flavor was born. Salty, briny and meaty sausage flavor; I&apos;m a fan of that! 2 sausages of choice, Preferably the delectable Jack's Gourmet sausage! 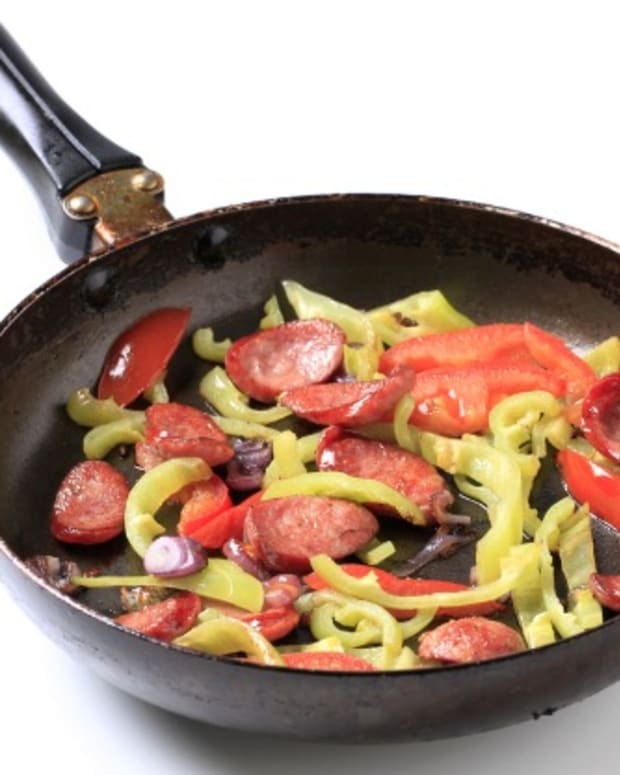 Begin by sauteing the sausage in a large, deep frying pan, wok or paella pan if you have. Once crispy, approx. 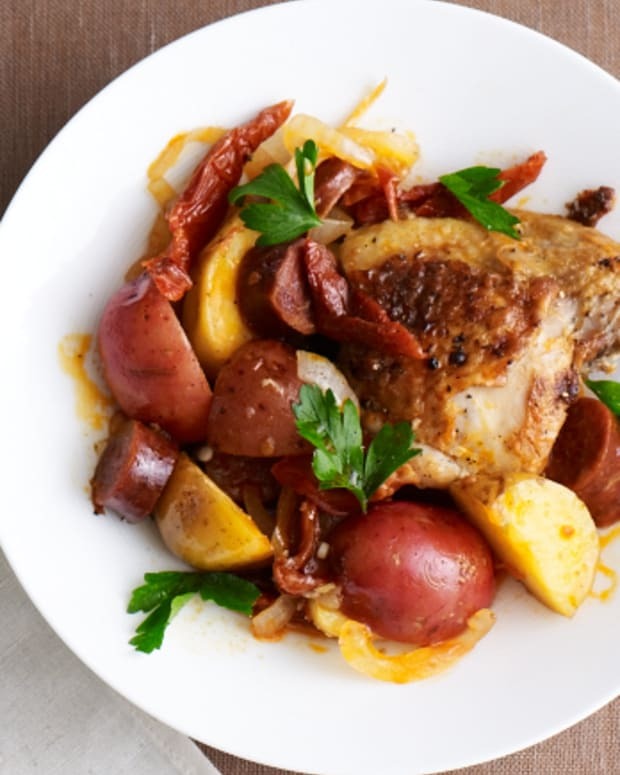 5 minutes, remove from the pan and set aside in a bowl. Next, saute the chicken cutlets. 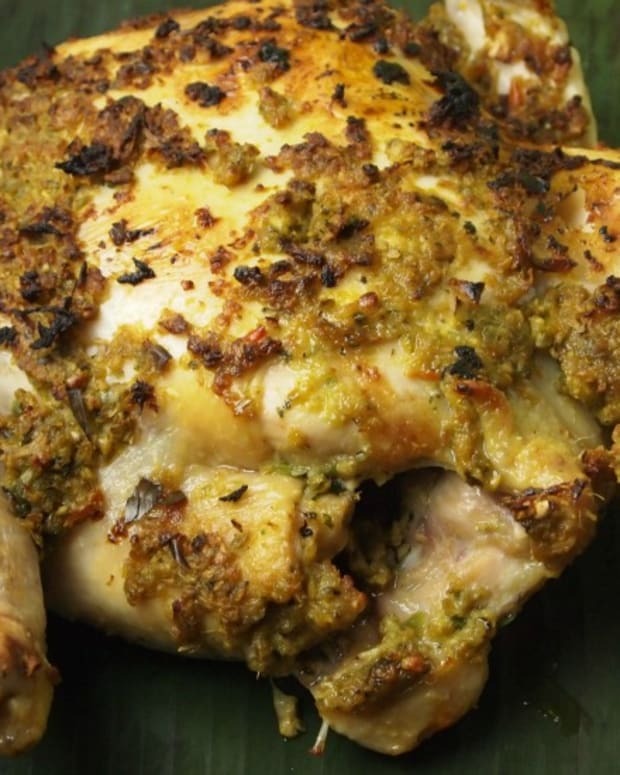 Feel free to use regular white meat, but if you have tasted dark meat "pargiot" chicken -I shouldn't have to explain how succulent…and AMAZING they are. Again, once cooked through, add to sausage bowl. Now, saute the rice in the leftover fat from the sausage and chicken. Add in broth, starting with 3/4 of the carton, garlic and spices. If your rice seems dry, add more broth. 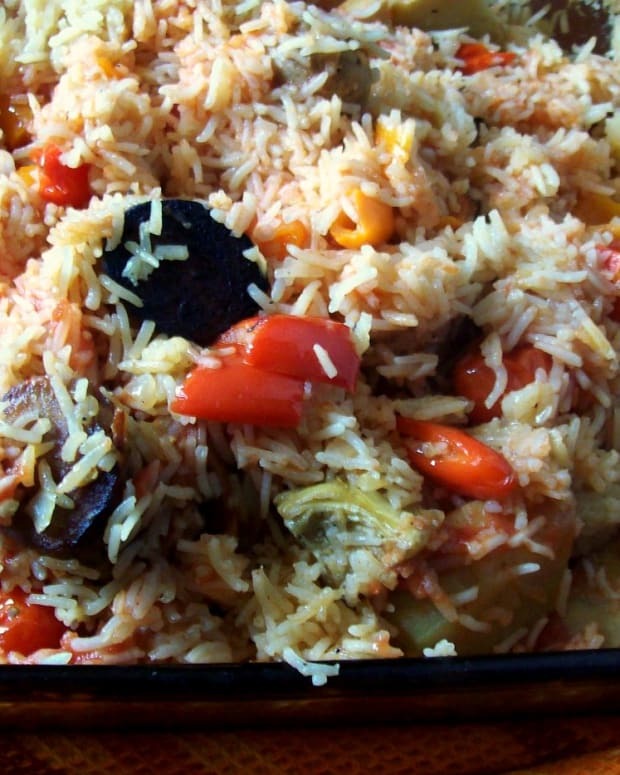 Once everything is Once rice is cooked, adjust seasoning to taste and toss in chicken and sausage to heat through. It is nice to keep some chicken and sausage separate to garnish the dish at the end. I hope you enjoy making Paella! It is easy, not expensive, and a nice update on "chicken and rice."